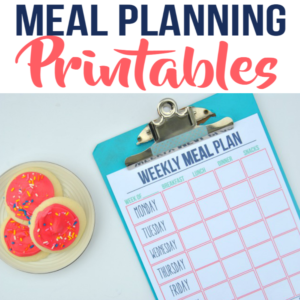 Grab the printables below to create an easy to follow home cleaning schedule for your family! 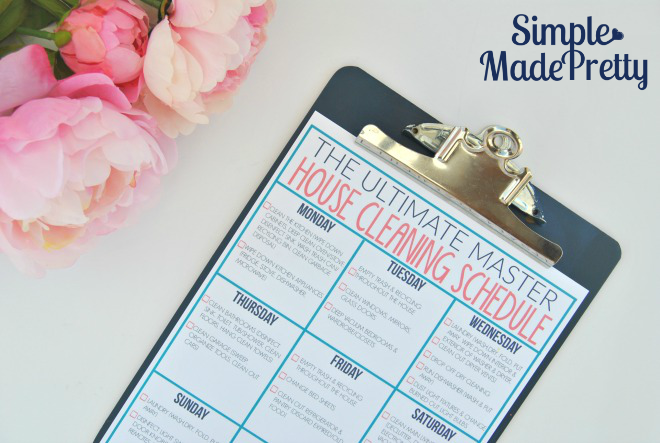 We follow this master house cleaning schedule and a daily chore is delegated to each family member so one person is not overwhelmed trying to clean the entire house. I’ve tried to clean the whole house on a Saturday by myself and after several hours of cleaning, sure enough, one of the kids, dog or husband dirty it back up in minutes. –>>Grab the chore chart here to easily delegate chores for your family! I’m a tired mama that ain’t got time for that so I divide and conquer! Use the checklist and assign each family member a chore from the list. Use the Ultimate Master House Cleaning checklist and assign each family member a daily chore from the list on the chore chart. Check off completed chores on the master schedule once completed (laminate them both to use over and over)! We use a treasure box reward system since our kids are still young and don’t understand the value of money. I pick up a few toys or candy from the Dollar Tree and store it in a box so they can pick out their reward at the end of each week. 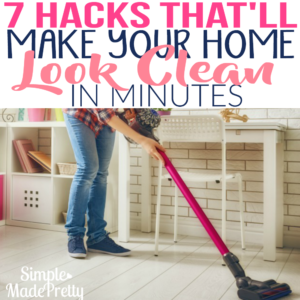 Make cleaning your home stress-free with these printables and you will have your home clean in no time while teaching everyone in the house to help out! 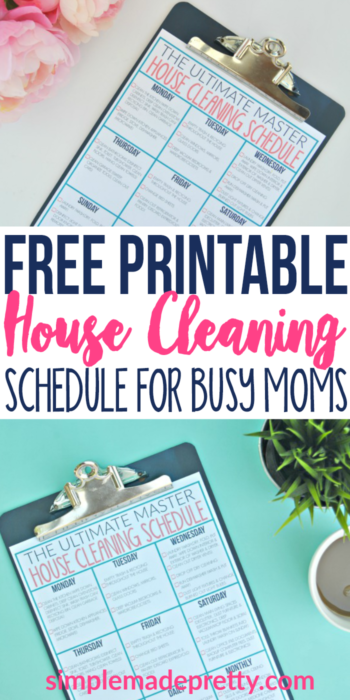 Grab the Free Printable Ultimate Master House Cleaning Schedule (get the chore chart separately here)! It’s frustrating as a consumer that we are convinced we need to purchase and use several cleaning items for each individual sole purpose. Since I started using essential oils in my cleaning products at home, I’ve been able to drastically reduce our cleaning supplies while also removing chemical-filled products from our home. 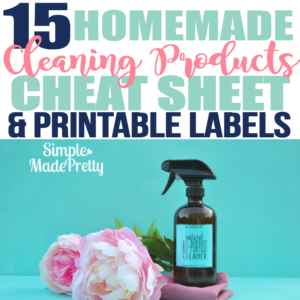 –>>Clear the clutter, save your sanity, and remove chemical cleaning products from your home by following this guideline of 15 Cleaning Products You Can Make That’ll Save You So Much Money! Get a digital copy of the Ultimate Cleaning Binder, which helps you create a cleaning routine and contains cleaning & organizing printables to save money and make your life easier. Best of all, you’ll get the knowledge and motivation you need to create a cleaning routine and finally clean like never before. Create a practical action plan and cleaning schedule that works for you. Discover cleaning supplies and tools will make your life easier, save money, and reduces chemicals in your home. Clear the clutter and create cleaning systems for your home that will keep things clean consistently. Deep clean your home from top to bottom in an easy-to-follow checklists & calendars that actually makes cleaning FUN! Develop smart strategies for helping household members (your kids and spouse!) keep their own spaces neat and clean. 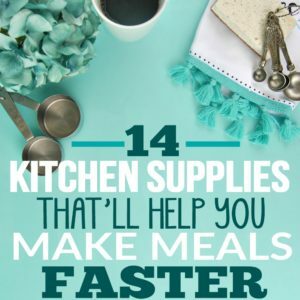 –>>Get Your copy of the Ultimate Cleaning Binder here! 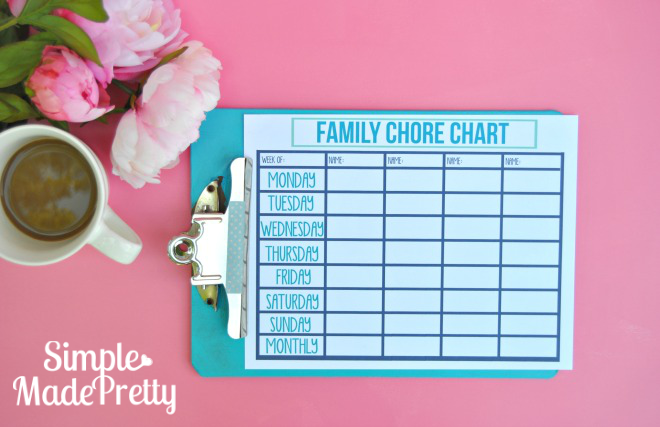 Grab the chore chart here to easily delegate chores for your family!